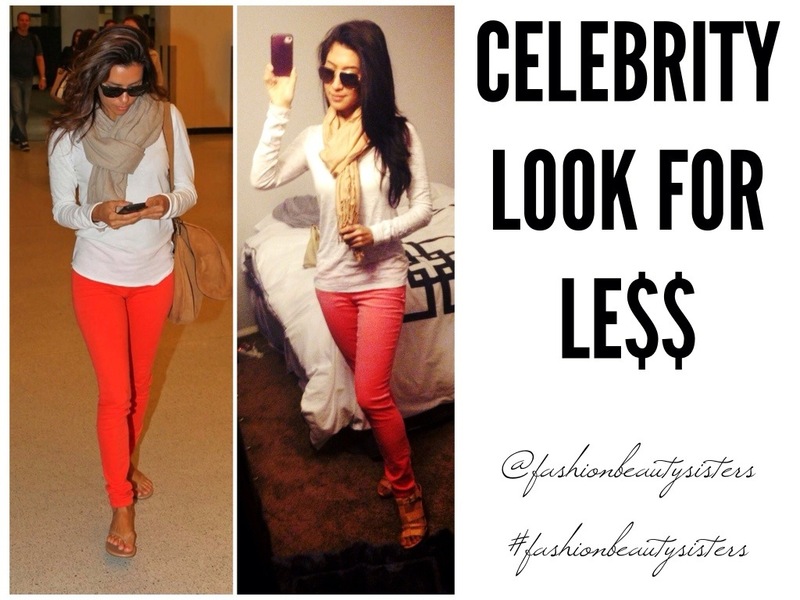 I’ve been SUPER excited to start posting Celebrity Looks for Less!!! I will put together my own outfits, modeling after what I like on a certain celeb…and let you know where it all comes from so you can put your own looks together too. In this pic (above LEFT, found on Pinterest) Eva Longoria has her casual, cool and CUTE airport style down to a chic ensemble. Who are some of your favorite celeb style icons? I would love to know! LOVE LOVE LOVEEEE this Sara!! Celebs to look out for and have fun doing outfits for less–Kate Hudson and Katie Holmes. Both have a quarky, boho-chic, cutesy relaxed style goin’ on. Would ❤ to see what you girls can do with that!